This is a bit odd. Yet the RE shop is asking for £49 when I go to checkout. Are the US getting a better deal? In a word, yes. I don't know if pricing is in the NDA so I'll leave it there. The US doesn't have the same VAT set up either. I can only go off what my eyes tell me. Since UK is technically still in the EU, I guess the price is converted for you from EUR. I've contacted PH to get some clarification. Maybe 'NoiseEng' will comment too on this post. I really want the same deal as the rest of the world if possible. Yea, that is what i want too. The taxes of Gibraltar, the prices in $ and the moon is made of cheeze - google proved. Well, I'd miss this deal over GBP6 difference then I'd be pissed off. But that's just me It's still a great price! Just bought the bundle and I'm loving these REs. So much gooey character that's easily accessible. 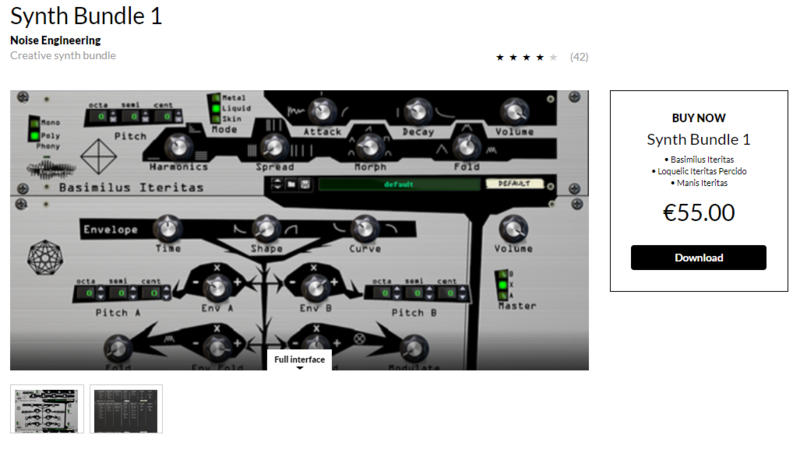 For some of my first experiments I'm using the Propellerhead Drum Sequencer to drive several instances of Basimilus Iteritas, and 'Lectric Panda's RND RE into a Scales and Chords to drive randomized dirty bass played by a Loquelic Iteritas Percido and finally some occasional randomized melodic stabs out of a Manis Iteritas. Wow wow wow. SO FREAKING COOL SOUNDING. Already grabbed it (great stuff! ), but thank you for the reminder. hurricane wrote: Have any of you actually used these in your tracks in a more musical/melodic context? I'd like to hear these in action - not really looking for the blurby noisy farty demos though. I tried to. This includes the drums. I made a combi a while ago with them all in it because it was klunky to try and remember all their names. Hey all! You're all on top of these things but just a quick note that SB2 is on sale now -- DOTW for $85! Through 10 Mar. Enjoy! Such a good deal if you don't have these. Love them!! !